After a disastrous experience in another escape room in the area.. Big Escape Rooms, to be exact, we were somewhat nervous going in to this one. We had great experiences in other escape rooms, but that one previous room was such a disappointment, we didn't know how this one would turn out. We did the Operation Bravo room. There was a minor issue with a monitor, so our room monitor came in, took care of it, and added time back to account for the issue. The entire rest of the room worked perfectly and we were able to escape with room to spare. When you have a team taking care to ensure a positive customer experience, you get five stars out of me. Reviews of escape game "Operation Bravo"
Had a wonderful and great time solving Operation Bravo. Game master TJ made the experience that much better by doing a superb job. Between the fun puzzles and great game master it was a blast. I would not recommend going to do this room when there are so many way better ones in the Atlanta area. 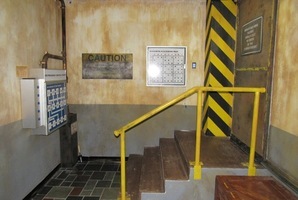 This room used to be “Area 51” at their other location in downtown Atlanta. 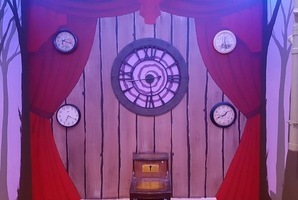 The room itself was appropriately themed, until you moved further in the story line. It was part morgue part secret government laboratory even though the second is a bit of a stretch. The puzzles didn’t require outside knowledge but they lacked any real ingenuity. Paranoia Quest has some really great rooms, but this is by far their worst.